Funny how times change. 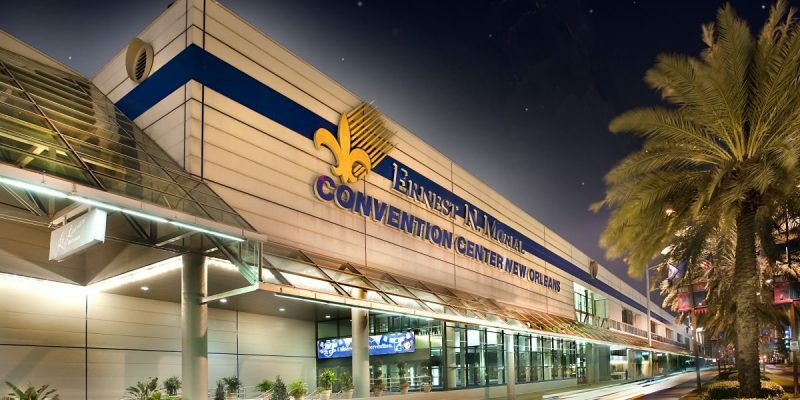 An example – the former screaming opposition to any changes over the dedicated tax for New Orleans’ convention center has now become lamentation over not enough change. And from the same people, peculiarly enough. Increasingly, policy-makers and the public have caught on to understanding the sinkhole that is the Ernest N. Morial Exhibition Hall Authority. It runs tens of millions of dollars a year in surplus, largely derived from taxes on tourists but also on residents, leaving it now flush with hundreds of millions in cash – most egregiously from a tax collected for nearly two decades ostensibly for building something that over a decade ago it abandoned as an idea. Meanwhile, the city of New Orleans surrounding it has trouble with infrastructure needs, from inadequate handling of water to insufficient mental health facilities for prisoners. So, in order to justify having all that free cash and its continued diversion into its pockets, the convention center proposes any number of Ceausescu-like projects that unlikely ever would pay for themselves, according to researchers who cite a flat national convention market due to changing economics – and even want taxpayers to fork over hundreds of millions of dollars in subsidies. Aware of its decreasingly-favorable optics, the Authority has floated an idea to shut up the likes of Mayor LaToya Cantrell, who keeps publicizing the massive surplus contrasted with the surrounding city’s relative penury – a tough position, admittedly, brought about by the city’s own shortsighted fiscal management. Rumor has it that the Authority may voluntarily fork over $50 million to the city’s quasi-independent Sewerage and Water Board and then $25 million annually for some period to go towards solving water provision and diversion problems. It’s a far cry from the Authority’s position seven years ago, when former Gov. Bobby Jindal initiated a budgeting strategy involving it. For fiscal year 2013, Jindal convinced it to lend the state $20 million for operating expenses in exchange for $10 million kicked back then and $10 million the next year for capital expenses. It was his way of tapping into the burgeoning coffers of an independent state agency (with most of its governing board appointed by the governor) to keep at a certain spending level without raising taxes. But when he came back the next year to propose the same thing, except at a $100 million level, the Authority balked. He sweetened the offer in 2014, asking for $50 million but saying the state would pay out $75 million in construction costs over three years. Still, the Authority resisted, and the idea never made it into the enacted budget. All in all, the deals would have had fronted $160 million over three years to get back $185 million over five, and the Authority chose $20 million to receive it back in two years while objecting to any more Now, it’s considering giving away $50 million next fiscal year and $25 million yearly afterwards for who knows how long. Its net current assets (as of 2017) actually have decreased slightly from the Jindal era to only $154 million, while its total unrestricted assets have held steady at about $218 million. So, it’s not like it has seen a noticeable increase in either which might sensitize policy-makers to look more closely at its burgeoning totals. It has been year after year of publicity of its grandiose plans to tap into that hoard which has drawn attention it would rather not have. The agency might have stemmed the escalating negativity surrounding it had it agreed to all of the Jindal deals – and would have made it richer by $25 million. Instead, it now finds itself pressured enough apparently to divest some of its fat bankroll, perhaps feeling the Legislature might force it to do so legally by shuttling some of its tax receipts elsewhere. It’s interesting how these things work out.